Sarah Dupont, Métis, is from Prince George, B.C. She is a proud graduate of the University of Northern B.C. where she did her undergraduate studies. Sarah received a Masters of Library and Information Studies at the University of Alberta in Edmonton. She was formerly the Community Engagement Librarian (Aboriginal Services) with Edmonton Public Library. 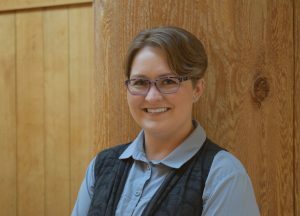 Sarah’s role is shared between the Xwi7xwa Library, where her work includes providing reference and instruction services, programming, and outreach with the campus’s Indigenous community, and the Irving K. Barber Learning Centre, where her Aboriginal Engagement role extends more broadly off campus. At the IKBLC, her work includes projects such as the Indigitization program and the annual Aboriginal (Un)History Month exhibition. Sarah is the convenor of the First Nations Interest Group of the BC Library Association.